Actually, many of my blogging dog pals have Zuke's. 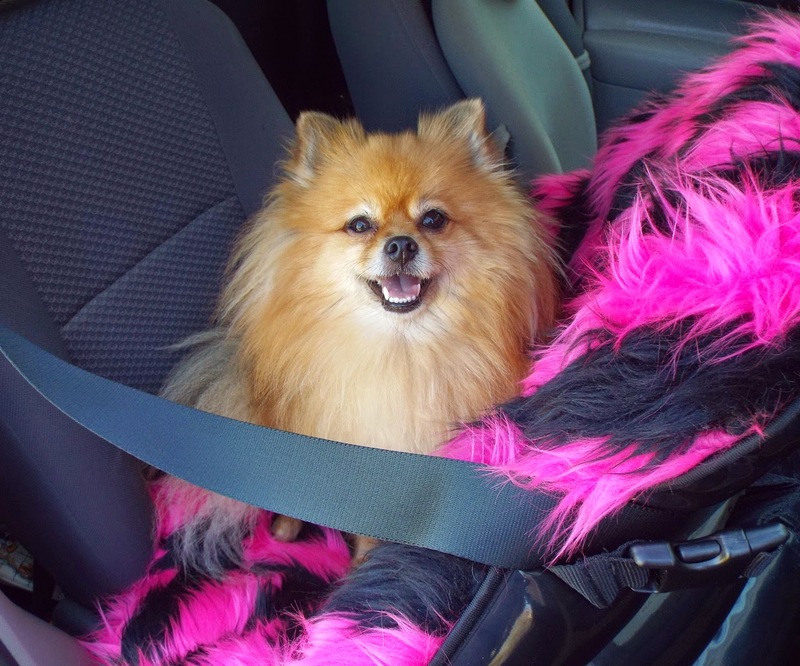 We are all barking to spread the word about the Zuke's #BarkFriday #FueltheLove Twitter pawty! The #BarkFriday #FueltheLove Twitter pawty is on November 29, from noon to 1:30pm Eastern time. There will be pawsome prizes from Zuke's, so be sure to RSVP! I'm a "huge" fan of Zuke's. (Well, at least as huge a fan as a 14 pound dog can be. BOL!) Zuke's Mini Naturals treats were some of the first treats I received as a puppy. I still love Zuke's treats. Mom gives me Zukes because they are healthy treats that are made in the USA. Now that I am all grown up, I have eaten several varieties of Zuke's treats. They are ALL yummy! The Mini Naturals are the pawfect size for training. Each Mini Natural is only 3.5 calories. I know I got a lot of treats when I was in puppy kindergarten, so Mom cut them half to control the calories even more. When a puppy is only a few pounds, every calorie counts. BOL! (Wild Rabbit, Salmon, Peanut Butter, Pork, Duck, or Chicken - depending on flavor), Ground Rice, Ground Barley, Malted Barley, Gelatin, Vegetable Glycerin, Tapioca, Natural Flavors, Cherries, Sunflower Oil, Lecithin, Salt, Phosphoric Acid, Rosemary, Turmeric, Sorbic Acid (a preservative), Ascorbic Acid (Vitamin C), Mixed Tocopherols. The next Zuke's treat I was given as a puppy was Hip Action. I was 7 months old when I had surgery for both of my knees. The vet said I would need to take Glucosamine supplements. Hip Action contains Glucosamine, and it's yummy! It is a furrific treat for dogs who have arthritis. (Beef, Chicken or Peanut Butter - depending on flavor), Ground Rice, Ground Oats, Malted Barley, Gelatin, Maple Syrup, Vegetable Glycerin, Glucosamine Hydrochloride, Cherries, Blueberries, Lecithin, Salt, Ground Sesame Seed, Alfalfa, Phosphoric Acid, Rosemary, Turmeric, Garlic Powder, Sorbic Acid (a preservative), Ascorbic Acid (Vitamin C), Egg Shell Membrane Meal, Chondroitin Sulfate, Zinc Sulfate, Manganese Sulfate, Sodium Selenite. Just to let you know, the Z-Filets are larger than the little piece in the photo. Mom tears off little pieces for me because I am small dog. She is always watching my weight. These soft meaty treats are a delicious snack! They were one of the few things that Baron could eat during the first month after his throat surgery. His mom buys a few bags of Z-Filets every time she goes to a pet supply store. I just know Baron is hoping to eat my Z-Filets. BOL! (Venison, Beef or Chicken - depending on flavor), Potatoes, Maple Syrup, Garlic Powder, Salt, Phosphoric Acid, Rosemary, Turmeric, Sage, Sorbic Acid (a preservative), Citric Acid, Mixed Tocopherols. People are always saying that cookies are fattening, well Zuke's Skinny Bakes are not! The crunchy treats are less than 10 calories each. 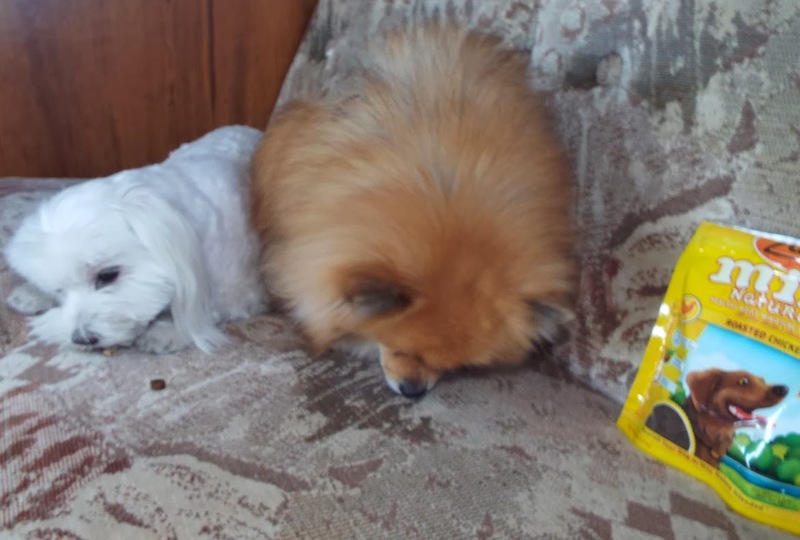 They are easy to break in half, so 2 dogs can share one treat. Baron usually doesn't eat cookies, and I normally end up with both my cookie, and Baron's cookie. I was out of luck this time - Baron likes the Skinny Bakes, and he ate his cookie. Cherry n' Berry Crunch: Oatmeal, Pearled Barley, Rice Bran, Oat Fiber, Cane Molasses, Berry Blend (Cranberries, Cherries, Blueberries), Oil Blend (Canola oil, Sunflower oil, Olive oil), Natural Flavor, Rosemary Extract, Mixed Tocopherols (a preservative). Peanut Butter n' Banana Crunch: Oatmeal, Pearled Barley, Rice Bran, Peanut Butter, Bananas, Potatoes, Oat Fiber, Cane Molasses, Oil Blend (Canola oil, Sunflower oil, Olive oil), Natural Flavor, Rosemary Extract, Mixed Tocopherols (a preservative). Pumpkin n' Sweet Potato Crunch: Oatmeal, Pearled Barley, Rice Bran, Pumpkin, Sweet Potatoes, Carrots, Potatoes, Pea Fiber, Cane Molasses, Oil Blend (Canola oil, Sunflower oil, Olive oil), Natural Flavor, Rosemary Extract, Mixed Tocopherols (a preservative). 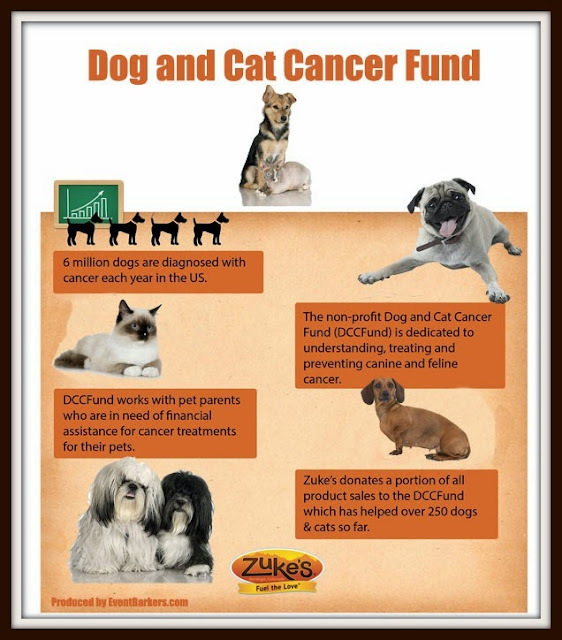 Event Barkers created this pawsome infographic about how Zuke's provides donations to help care for dogs & cats that have cancer. Have you tried Zuke's treats? Do you have a favorite? Do you want to win some Zuke's treats? 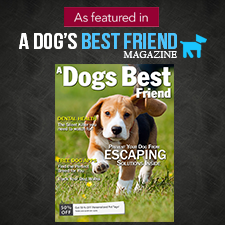 3 Pepper's Paws readers will win 5 packs of Zuke's treats! Zuke's and Event Barkers are also hosting a group giveaway where 4 winners will receive 15 packs of Zuke's treats! Login to the Rafflecopter to enter the Pepper's Paws giveaway, and login to the second form to enter the group giveaway. Giveaway Disclosure: I did not receive any compensation for this giveaway. Zuke's will ship a product directly to the winner of the giveaway. I am not responsible for lost/missing prizes. The opinions in this giveaway are my own and not influenced by any outsider . I receive no additional benefits for talking about the product or company. Zuke's can only ship to USA addresses and you must be 18 to enter. 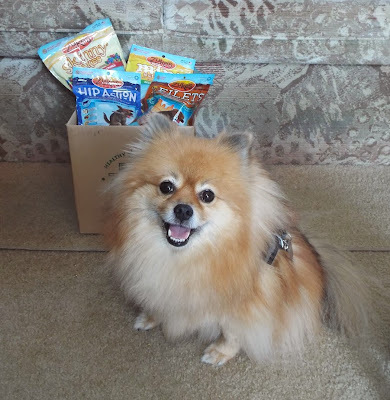 The pawsome thing about Lil' Links, Jerky Naturals, Z-Filets and Z-Bones is that they are grain free and free of the most common allergens that humans have. As you'd say, Pepper, "That's really impawtent for some families." Thank you for pointing this out! I must have forgotten to mention it because Mom has a cold and it makes her brain foggy. We haven't tried zukes yet but have heard great things and the ingredients sound great! 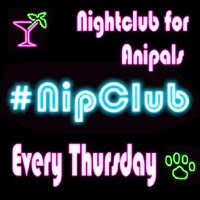 Pawsome giveaway! We've never tried Zuke's but I've heard great things about them! Oh, I LOVES the Zukes Pepper!! I have been eatin' them almost all my life!! I like the Zuke's Baked ones too! I have a hard time findin' them in the store, so Ma usually orders them online...yummers!! You have such a good and smart momma - cutting the treats in half during training. Mom always cuts or breaks treats up into little pieces for me too, because I get so many treats when we're doing training. We're thinking about you and your momma and hoping your surgery monday goes smoothly and it's something really minor. We know your momma is probably worried (humans get that way). Paw hugs to you and your mom! Pepper...whoa! So many treats for such a small pup as yourself?!? You'll be eating Zuke's through next year! BOL Look at Baron's face...he is really enjoying those treats! So nice of you to share with him. I hope your mom is feeling better today...make sure she rests and gets lots of fluids. I've been getting Zuke's since I was a tiny pup! I don't have a favfurite flavor or shape, I love 'em all!! Take good care of yourwoof after your surgery next week! Yup! Have tried the mini naturals and skinny bakes. San Francisco has so many stores! Can go to any of them. We're huge Zuke's fans! 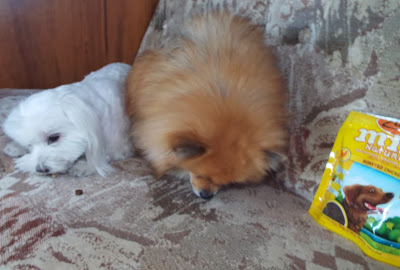 I really like the Hip Action treats for my Pom, Sarah, but she loves Lil' Links, Supers, Z-Filets, Mini Bakes, and the Hip Action. My dogs love Zukes, the Z-bones are always a hit at our house. 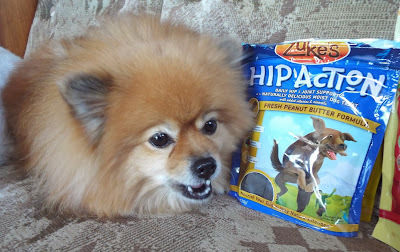 We love Zuke's treats in this household, though there's a few varieties we haven't tried yet! 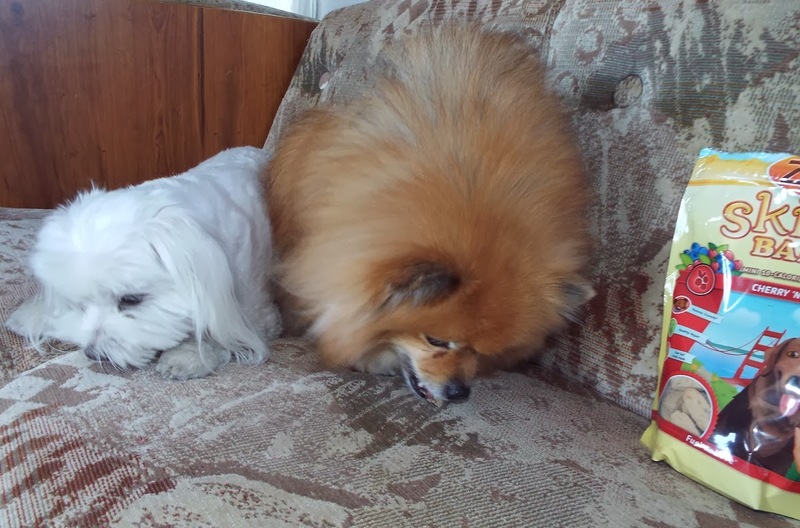 My dogs love the Pork and Apple Zuke's! So far we`ve only tried the Mini Naturals in Savoury Salmon.. our pup loved them so much that he learned a new trick just to be able to have them! I have tired them and they are PAWsome!!! We have tried them in the special pumpkin Halloween cookie kind and loved them! Thank you and Happy Holidays! We haven't tried Zuke's yet but I'm sure my dog would love them! Pssst....Pepper, I am entering your giveaway. Just remember, if I happen to win (which never happens)...no chicken. You can give my chicken to another pal. yes I've tried Zuke's treats and my favorite is rabbit - and peanut butter - and duck - and . 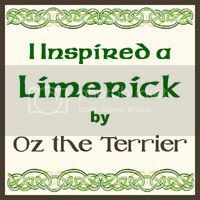 . .
We haven't tried Zuke's treats yet, but I just know my furbabies will love them! No we have never tried it before but really would like to. We have not tried them but we would like to!